Stumptown coffee founder Duane Sorenson brings tavern food and specialty goods to Southeast Portland. 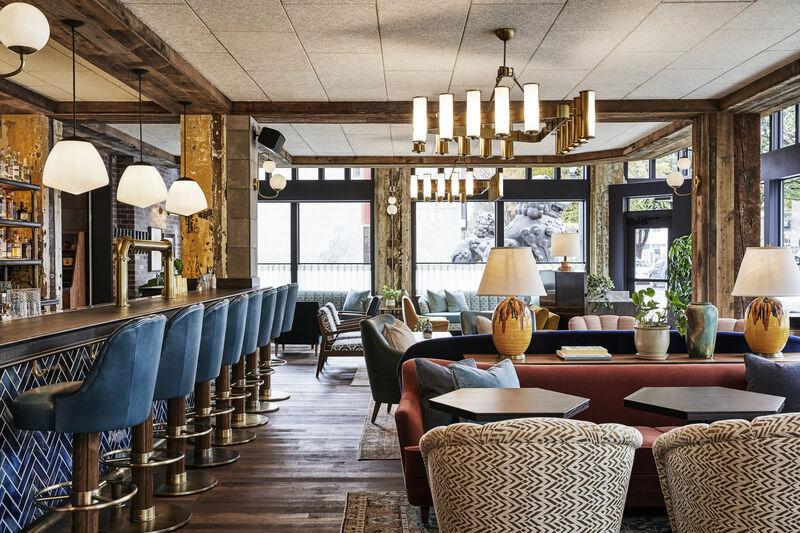 DUANE SORENSON AMBLES AROUND the dining room at his newest venture, the Woodsman Tavern, his 5-month-old baby slung over his shoulder, high-fiving the hungry groups tucked away in their dark, paneled booths. At more than six feet, he towers above the crowd, sporting a shaggy mane and rumpled plaids while spouting his favorite aphorism: “rad!” But don’t let his disheveled air fool you—Sorenson thinks big and bold. In 1995, the Stumptown Coffee Roasters owner traveled the world to find the best coffee beans, paid the highest prices, honored the downtrodden plantation farmer, and proceeded to change the coffee conversation entirely. Now, after conquering New York’s coffee market with Stumptown’s expansion into Manhattan and Brooklyn, he’s back in Portland with his first food project: a casual SE Division Street watering hole and dining spot with an attached food market. The plan? Source all three according to the Stumptown model. 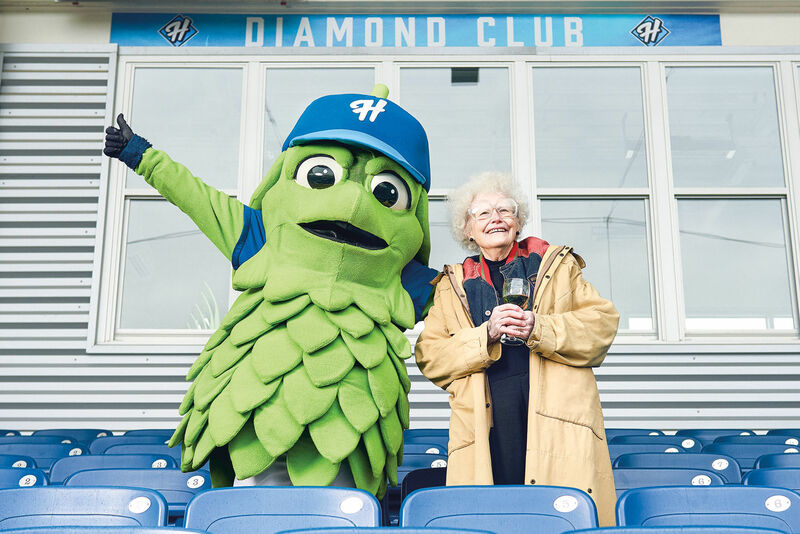 “Just like with coffee, I want to know where oysters or beer or wine or hams are coming from, and who is totally awesome and the best,” he says. “It’s what tickles my fancy.” It’s hard not to fall under Sorenson’s spell, even as the kitchen struggles to find its footing. 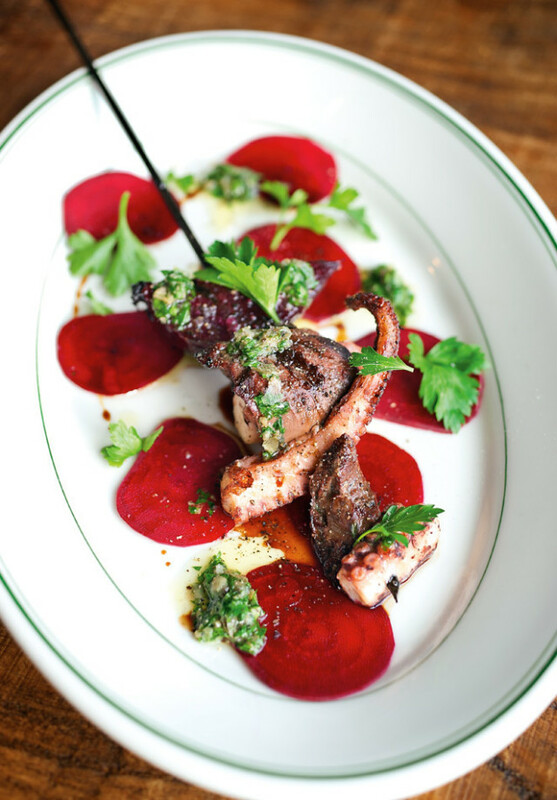 Grilled octopus with beef heart, beets, and salsa verde. Inside the Woodsman, Sorenson’s vision looks branded by Made in Oregon. 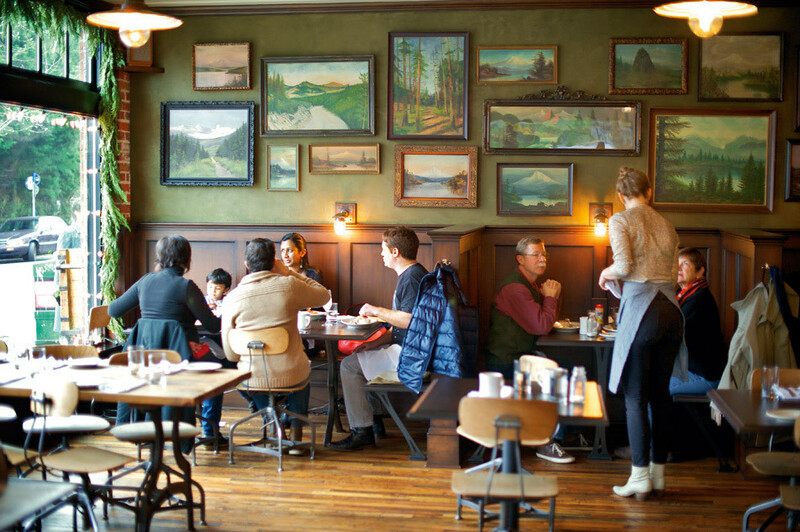 Dark woods dominate the room, servers take orders in suspenders, and Sorenson’s vintage collection of oil paintings covers the west wall, sketching the bucolic peaks and landscapes of Oregon’s majesty. The state’s bearded forefathers would feel at home amid these thick slab tables, cast-iron table legs, and atmospheric Edison bulbs. The space isn’t new or groundbreaking; instead, it embodies the hospitality of a corner tavern and the comforts of a neighborhood joint that’s been around for years. Nothing screams Oregon more than the Woodsman’s seafood bar—a showcase of the freshest West Coast oysters around. 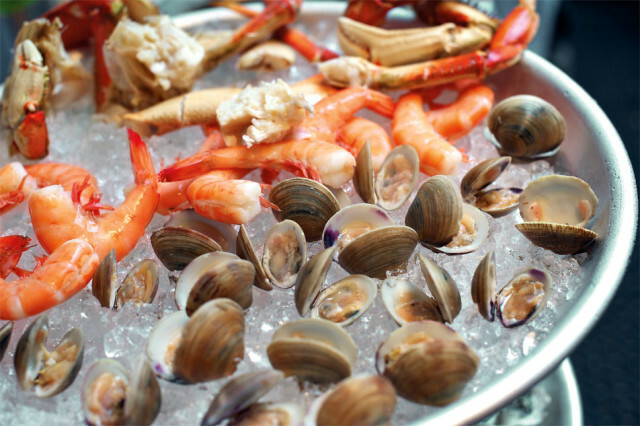 Light-shelled, delicate Kusshi from British Columbia and creamy, sweet Yaquina Bay oysters rest next to chilled Dungeness crab legs, fiery orange and full of sweet, luscious meat. As he did with the coffee farmers in Kenya and Indonesia, Sorenson shucked, slurped, and interviewed his way from Oregon’s shoreline up through British Columbia to discover the succulent secrets of our coastal bounty. Meats undergo a similarly rigorous screening process. The carefully assembled “Country Ham Plate,” for example, is an exquisite trio of porcine delights: ribbons of smoky and mellow Johnston County ham from Smithfield, North Carolina; salty slices of Benton’s from Madisonville, Tennessee; and silken, gossamer folds of La Quercia from Norwalk, Iowa, arrive with crackling Little T bread and quick-pickled collard greens. Still, this is no one-man show. Sorenson curates not just ingredients, but local talent, from the front of the house to the back. Chef Jason Barwikowski made a name for himself with edgy, rustic cooking at Clyde Common and Olympic Provisions. His wife, Carly Laws, roams the floor as gracious general manager and wine director, offering approachable, affordable bottles. Bartender Evan Zimmerman, an affable, geek-chic mixologist who gained a reputation at Laurelhurst Market for signature house-smoked ice blocks, has put together a flawless, whiskey-forward cocktail menu. 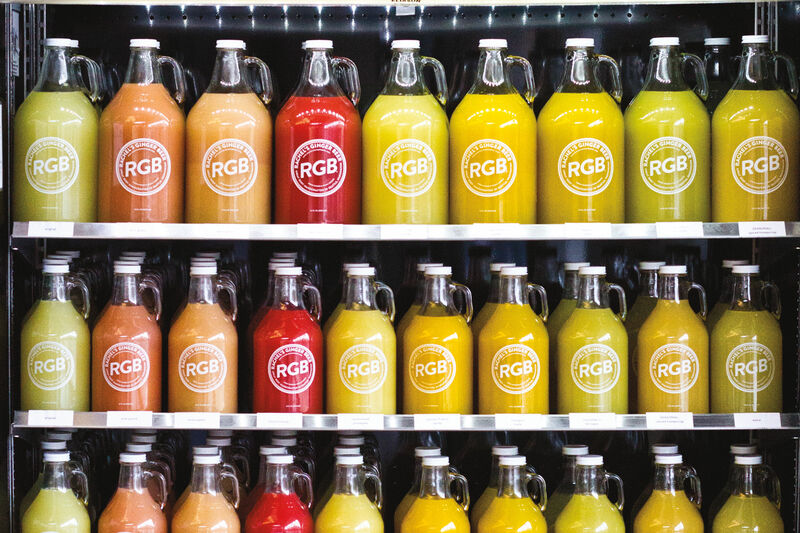 Next door, Noah Cable, also a partner in farmers market sensation–turned–downtown pie shop Lauretta Jean’s, stocks the Woodsman Market, prowling local farms and selecting produce and flowers for the storefront. The Woodsman Tavern’s dining room. The food has a ways to go before it can live up to Sorenson’s dream tavern. The Woodsman is still splitting its first logs, and with customers arriving in droves, splinters are expected. So far, the food lacks ax-sharp focus and execution. Barwikowski’s comfort zone is Spain, mastery of the humble root vegetable, and offal. Here, he seems a bit off his game in an American menu heavily influenced by Chicago’s Publican and New York’s Marlow & Sons—new age, rustic eateries popping up across the country. Beyond the shellfish and the ham, the menu dissolves into a hodgepodge of monotone tavern staples. The list roams through “drinking snacks” of bland, cheese-dusted pork rinds, expensive appetizers, and a collection of entrées from simple salads to a meek shellfish stew, finishing with solid but unremarkable desserts. That’s not to say there aren’t gems. A starter of brussels sprouts comes two ways: deep-fried with crispy, crunchy layers and fresh with bright green leaves, all tossed together. A bowl of octopus is charred to perfection in Barwikowski’s prized indoor charcoal Josper oven, allowing pure smoke to mingle with spicy chorizo and earthy squid ink. 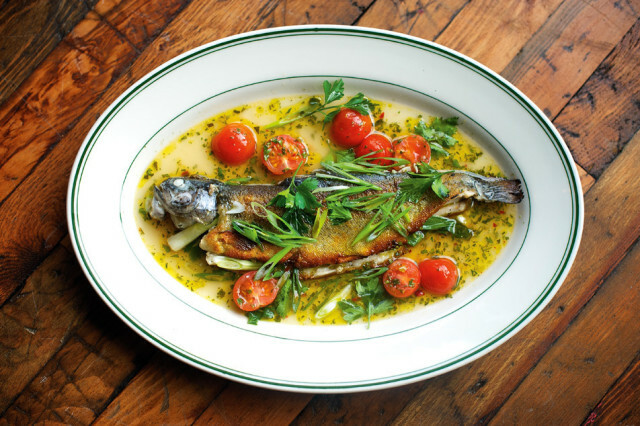 From there, you’d best order the trout—one of the few dishes that really screams Woodsman! The understated fish arrives whole, basking in a broth of Calabrian chile–and–herb “crazy water.” It’s the hard-earned reward after a fishing trip, and nothing more. Right now, brunch provides the most satisfaction; a griddle burger smashed with Tillamook cheese curds, grilled onions, and a little too much mustard feels just right for a Sunday hangover. The trout makes a second appearance on weekends, panfried and slathered with a bright tarragon béarnaise sauce. French toast also lands on the mark, its grilled bits of custard-soaked bread pudding topped with a generous mound of melting maple butter. The Woodsman’s most reliable performer so far is Zimmerman, who whips up a contender for the city’s best Bloody Mary, aged for a week in a supersecret spice mix and boosted with a hit of sherry. Zimmerman knows how to balance understated flavors, like with the Gold Rush (bourbon, lemon juice, honey), and when to expound on complex liquors, as in the Hunting Vest, made with Campari steeped in ashen cedar, then aged for a week before being blended with rye and vermouth. Whether for brunch or dinner, Zimmerman is reason alone to try the Woodsman. Perhaps Sorenson’s smartest move is the Woodsman Market, where a bounty of epicurean pleasures awaits. It’s a mix of high- and lowbrow, local and imported, house-made and homegrown. Provincial wagons outside overflow with seasonal flowers and a cornucopia of bright red, purple, and yellow carrots from local farms. Step inside and you’ll find a small meat counter filled with local salumi, Mexican Coca-Cola, fire-engine-red Sriracha, and imported sardines. 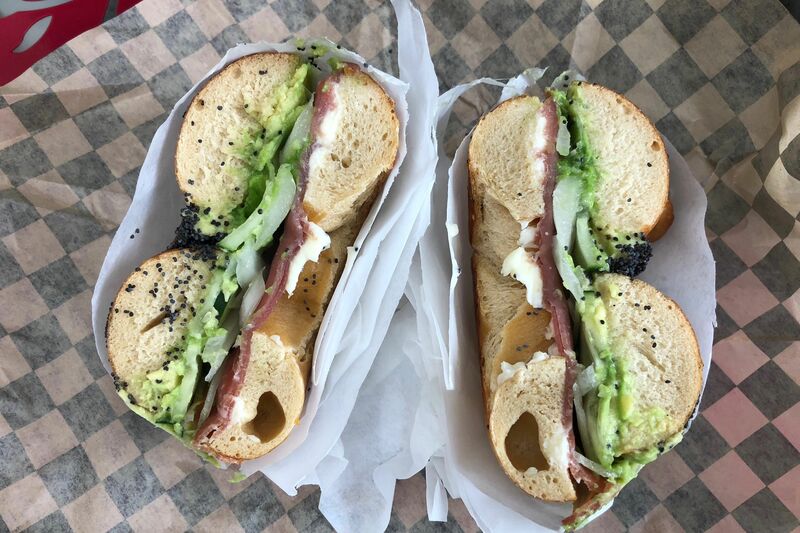 With the Pok Pok empire expanding eastward and new restaurants seeming to pop up every day on SE Division Street, Sorenson’s neighborhood hot spot may be the linchpin for Portland’s hottest new food destination. 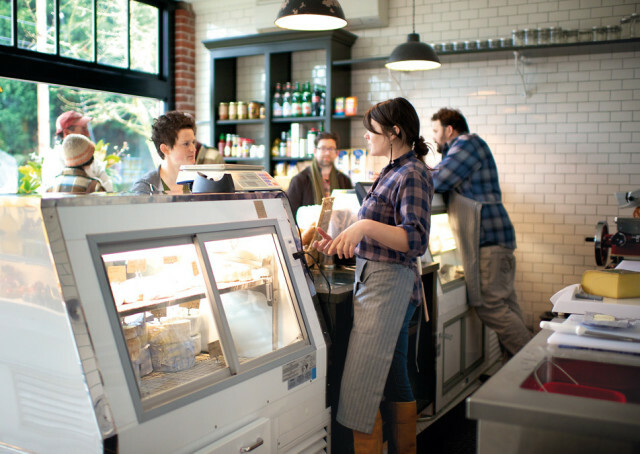 “I’m bonkers about food, and I’m bonkers about hospitality,” Sorenson says, high-fiving another passing server. In the next year, Sorenson hopes to complete his colonization of this block with a lofty, industrial sausage and beer hall (an ode to his father’s roots as a sausage maker) for the denizens of Portland’s new eat street. 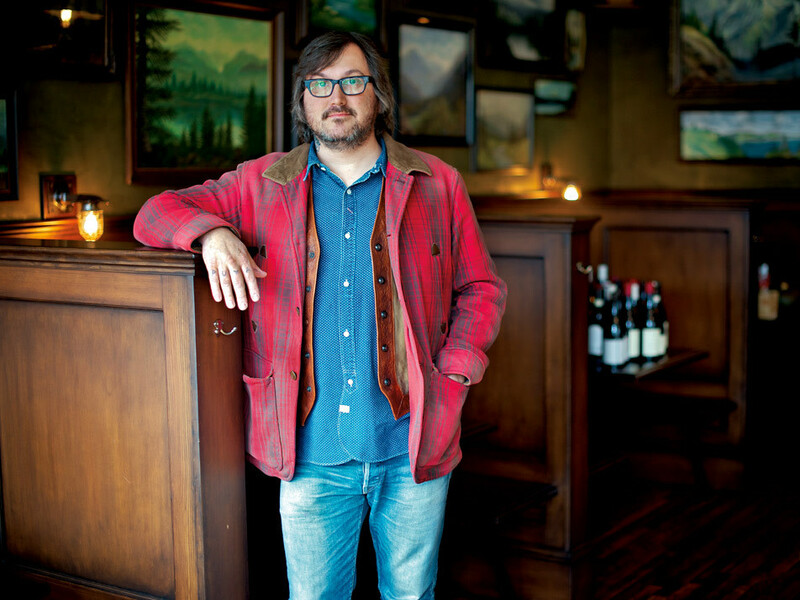 In Duane’s world—one of powerful culinary brands—the Woodsman is just the next step.